A private website just for your family. 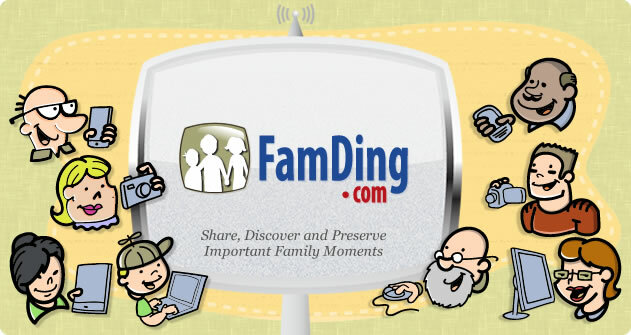 With FamDing you can share photos, calendars, and recipes with your family. Upload photos and organize them by album. Use our simple uploader tool to import 100 images at a time. We store all images at full resolution so you can always download the original. You can even download an entire album as a zip file if you'd like a local copy. Save your grandma's secret pumpkin pie recipe or share your favorite late night snack recipe. Add a recipe and hear about how much everyone loves it! You can upload photos of your creation once you are done. The hardest part about a big family is remembering everybody's birthday, anniversary or any other special date that might come up. With the shared calendar, anyone can enter these important events and you'll get a reminder on the big day. without worrying about who will see it on Facebook or Twitter. You can create an account for free. Try it out now!